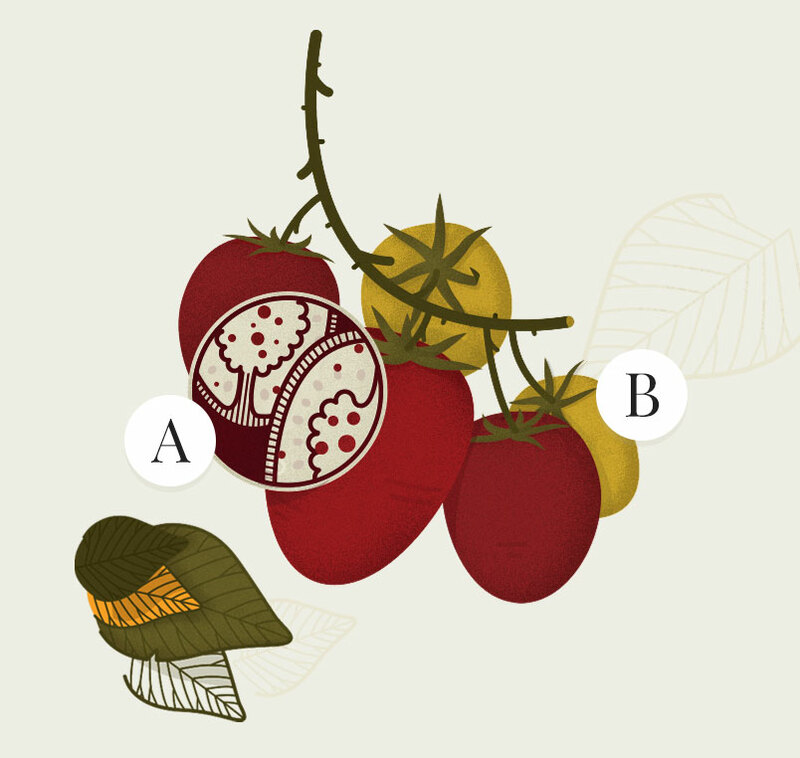 Inside tomatoes pectic substances provide consistency to the berries. 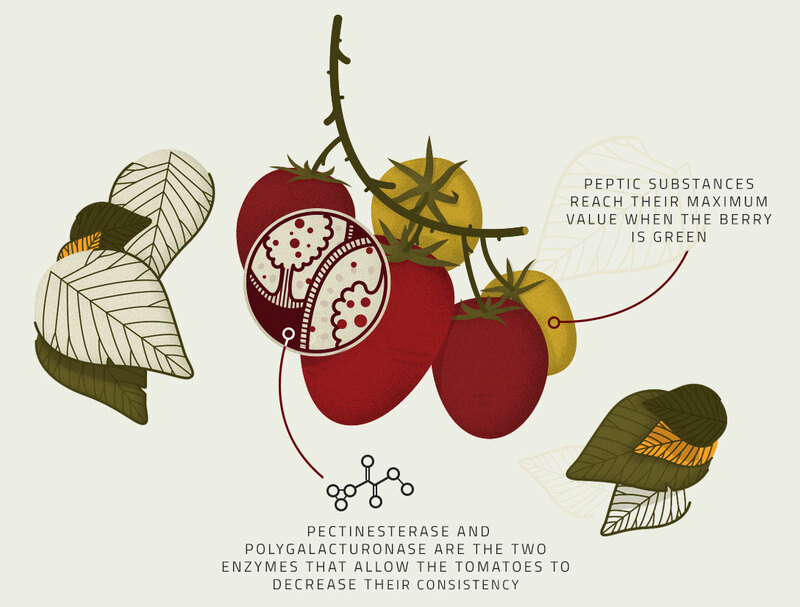 The maximum value of these substances is when the fruit is green, then it decreases while ripening and, in parallel, the elasticity of the fruits increases thanks to the action of two pectinolytic enzymes naturally present in the plant, which are the pectinesterase and poligalatturosinasi. Their action continues after the harvest and also in the early stages of the tomatoes’ processing. Once the tomato has reached the right degree of ripeness it is collected in the fields through self-propelled harvesting machines equipped with optical switch. 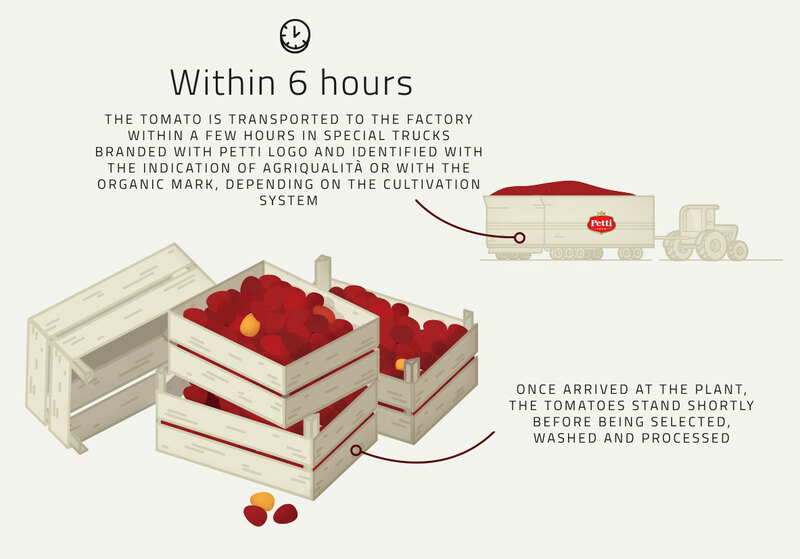 From there the tomatoes are loaded on trucks dedicated to the transportation to the Petti plant in Venturina Terme (LI), where they can be processed within 6 hours from the harvest. 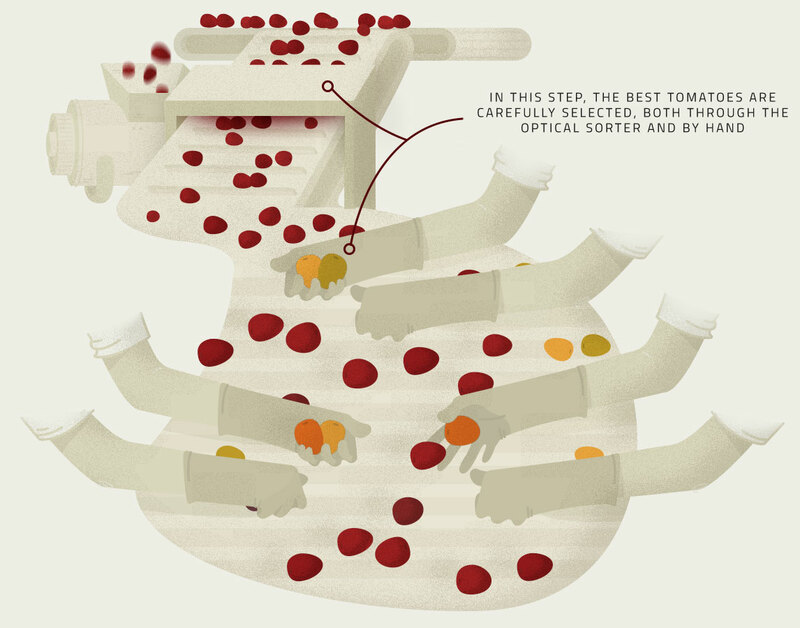 In the plant of the Italian Food S.p.A. the tomato is carefully chosen, first through the optical sorters and then also by hand. 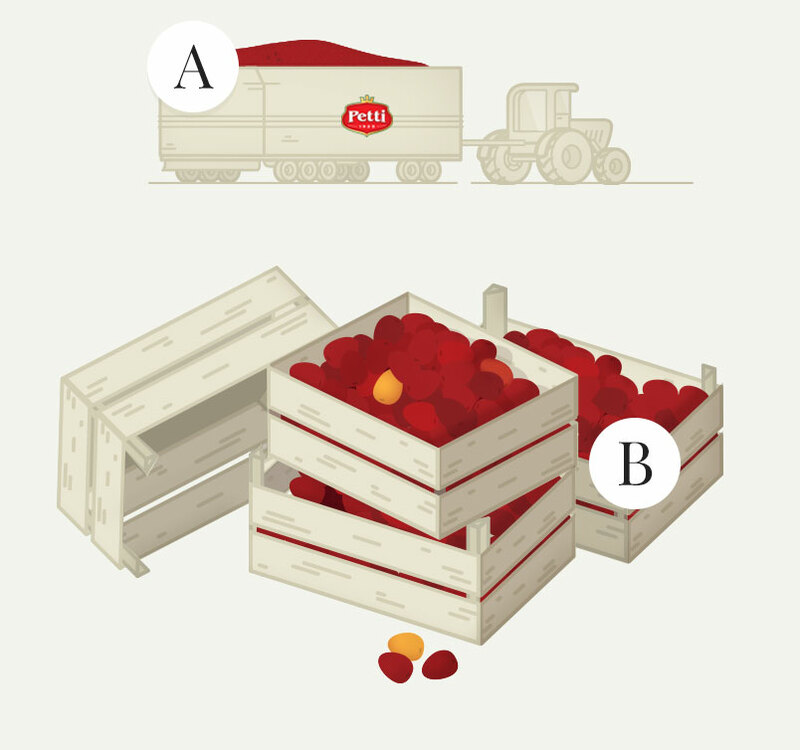 Only the best tomatoes, after several washing cycles, are processed and transformed. 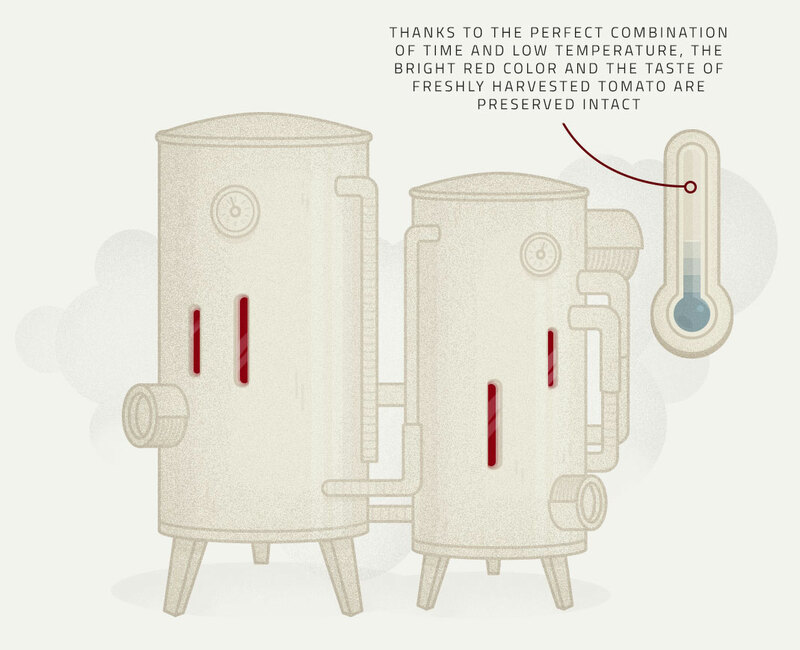 During processing at low temperature, better known in technical jargon as "cold break", the tomato is heated for a short time in special tomato pre-heater machines, with the aim to facilitate the separation of the skins and thus easing the following processing steps. 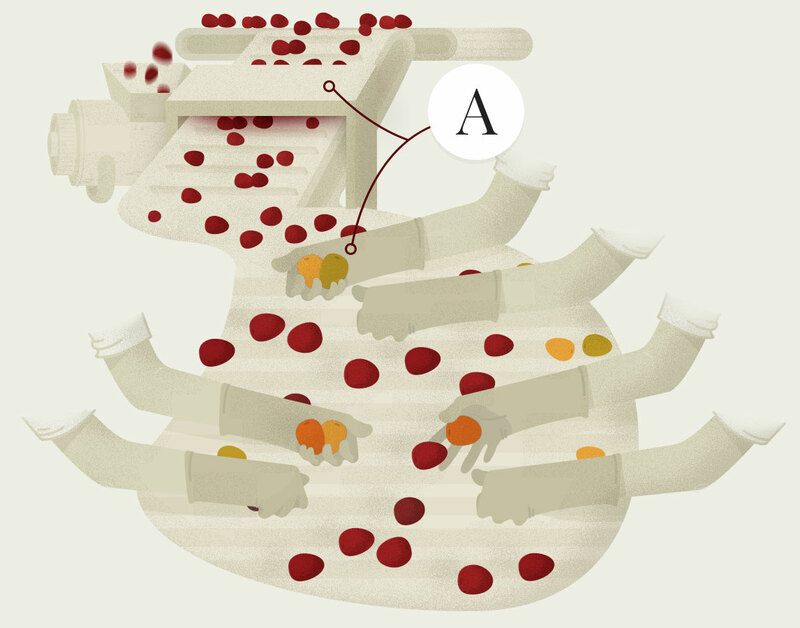 Thanks to this unique method the tomato preserves the bright red color and the taste of freshly harvested tomato. Furthermore, the low-temperature processing brings the pectinolytic enzymes to reach their maximum activity. 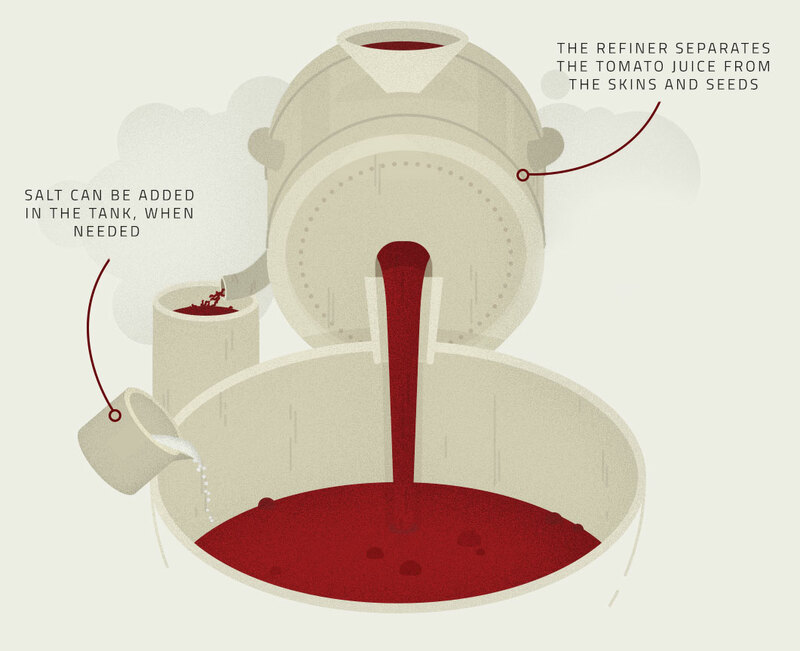 In the process of the tomato draining the most liquid part in excess is eliminated, while the tomato juice is separated from the skin and the seeds through the passage in the pulpers / refiners. 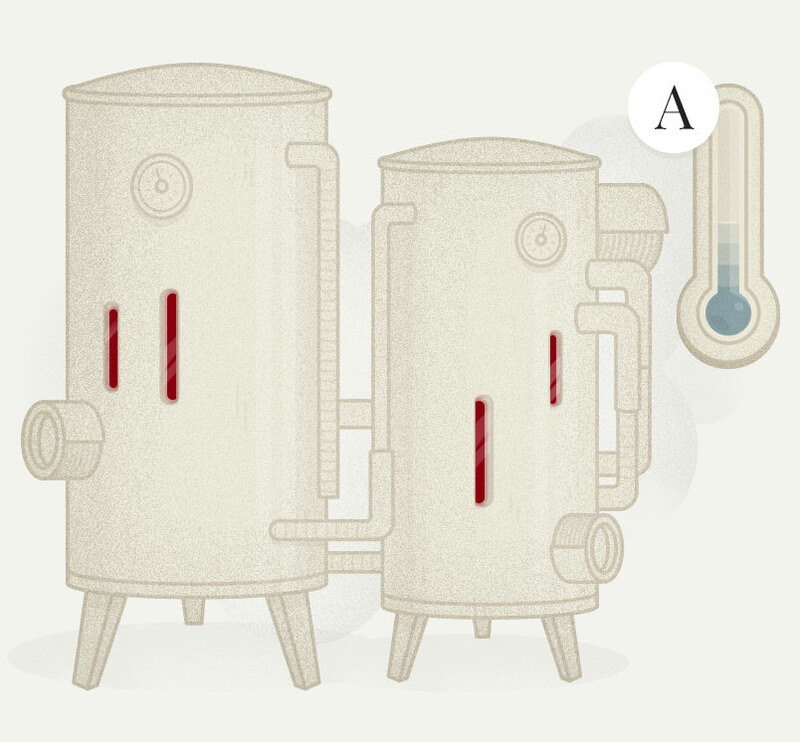 Tomato then passes into evaporators that eliminate the watery part in excess, until reaching the correct final density, better known as "brix". 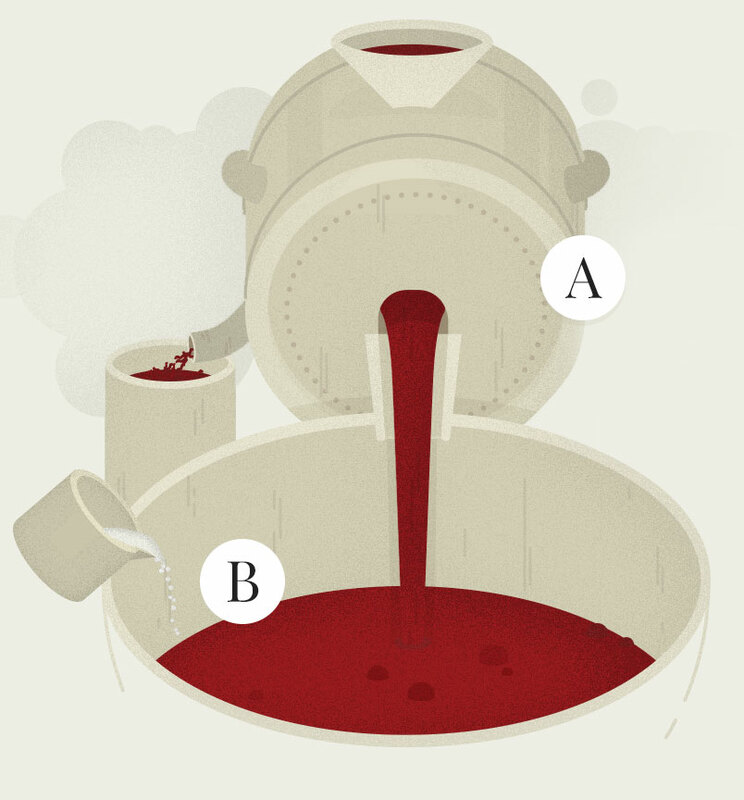 The bottles, as well as all types of packaging, are thoroughly washed and sanitized by jets of steam before being filled. 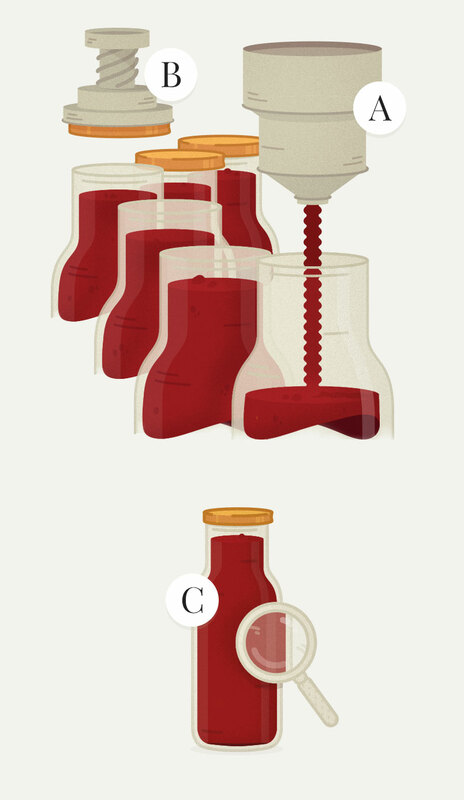 Once the sieved tomato passata is poured through the automatic filling, the bottles are closed immediately with the appropriate capsule. Then they pass though the pasteurization tunnel, then through the cooling and drying. 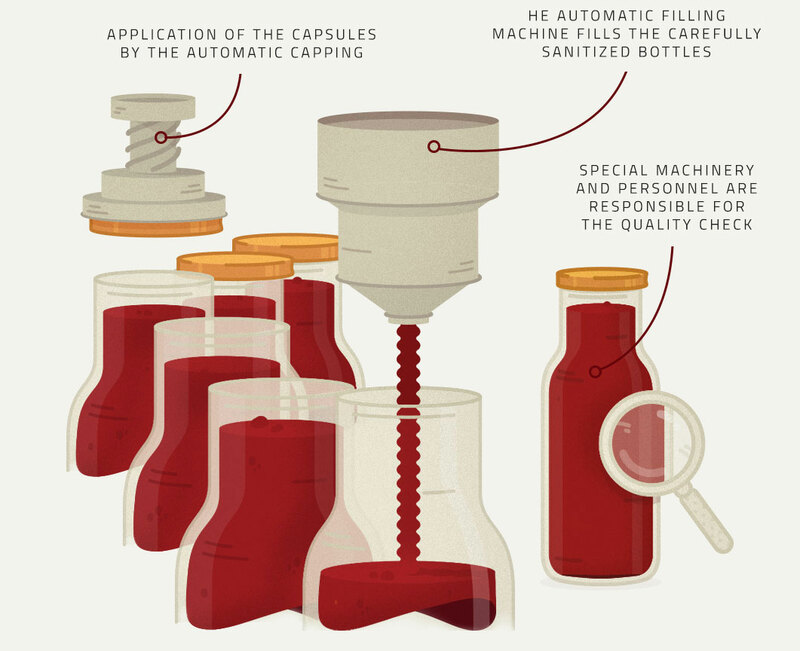 Once labeled, the bottles are ready for quality control which ensures that they are capable of leaving the factory.